Help the planet out this year guys, and resist the temptation of giving a dozen cut roses... Dig this totally cool idea: bouquets of roses for years to come, all in her own backyard! There's a wonderfully romantic trend that has gardeners grabbing the shovel this month. Instead of long-stemmed roses, more thoughtful sweethearts are giving dormant, bare root rose plants along with a heartfelt enclosure to explain the lack of blossoms: "My love shall grow each year, just like this rose"; or simply, "Our love will bloom". On Valentine's Day red roses may be the favorite, but once summer blooms, demand grows for antique roses and English roses. The boom in new appreciation for old garden roses stems from their strength of character. These varieties have a loose open form, lush fragrance, and great disease-resistance. Gardeners are also realizing the hardiness of roses grown on their own roots rather than grafted to a rootstock. The popularity of pink roses has something to do with their color, but may also be attributed to their natural disease resistance. As genetic mapping becomes more accurate, rose breeders realize that many of the most disease-resistant roses lean towards shades of pink. 'The Fairy', and 'Bonica' are outstanding examples. 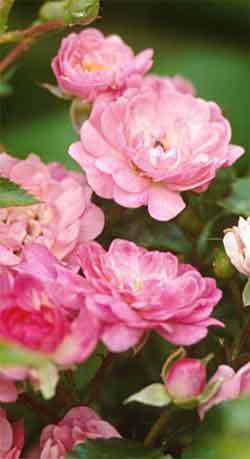 Pink and other pastel roses blend best with cottage garden perennials, while the hot, bright orange and yellow roses are just right for adding sizzling color to gardens for more of a tropical punch. Pair the orange 'Tropicana' rose with red and yellow 'Rosemond Cole' cannas, compact tangerine zinnias, or blazing red dahlias for shocking color combos sure to create a flamboyant sight. Roses in deliciously bright colors can be real garden divas. Landscape roses are creating a buzz with more than the bees. 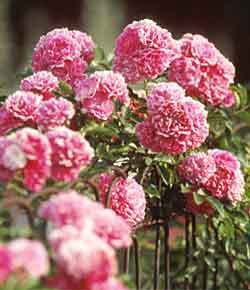 These rose varieties make hard-working, repeat-blooming and disease-resistant flowering shrubs. They work as accents in the landscape, as a groundcover for carpeting a bank, or as a hedge to border a driveway. 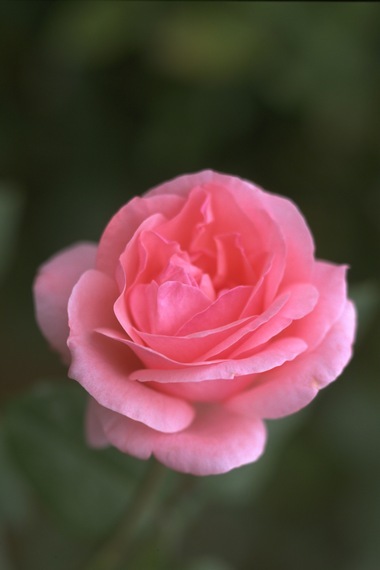 Watch for more commercial installations of easy-care landscape roses in public places, as professional designers realize the ease of maintenance that has been bred into shrubby roses. Along with adding romance to the garden, roses can be used for creating a more spiritual garden -- a strong new trend that goes beyond just adding stone angels as garden art. Creating a quiet and beautiful place to escape entails creating a secluded place, surrounded by a hedge or fence, or situated in a quiet corner. 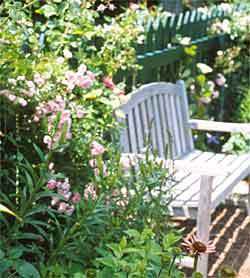 Add a comfy place to sit, tuck candles into lanterns and place them among plantings of fragrant roses. Now you've got a peaceful and pleasant setting!